Thank you all!!!! We went to Detroit and competed well enough to make it into quarterfinals in the Curie division. We had an amazing time, learned a great deal from other teams and had fun doing it. This was a once in a lifetime opportunity for our seven seniors. Thank you to our sponsors, South Jersey Robotics and everyone who contributed to our GoFundMeCampaign. This was made possible by you! Important update! We did it! We’re going to the FIRST Championship in Detroit! Thanks to a generous donation from the Department of Defense our registration fee has been covered! An additional grant from FIRST Mid-Atlantic Division means we're closer than ever before, but this campaign isn't over. We've adjusted our remaining goal, based on these significant donations, to $9,000. 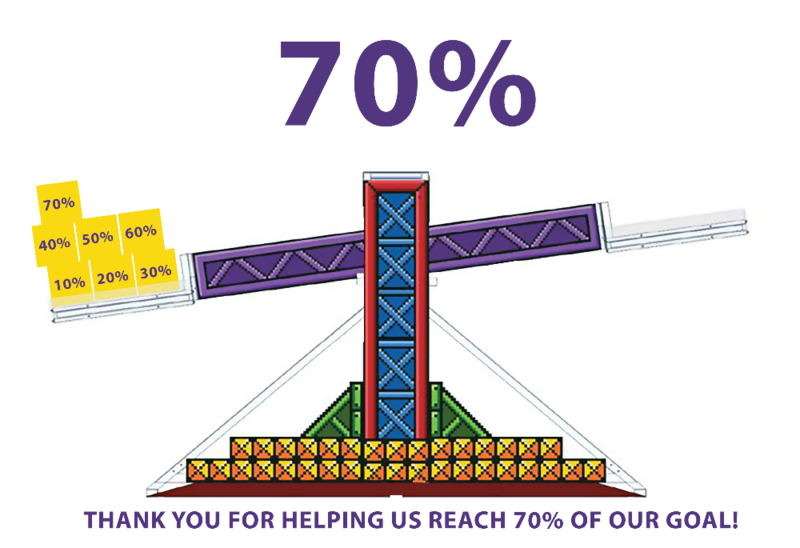 Thanks to all of your generous donations we're at 70% of our new goal and only need $2,150 to leave NJ for Detroit on Wednesday, knowing that our costs are covered. Being part of FIRST® Robotics Competition we’re used to tight, tense deadlines, but to meet this one, we need your help! 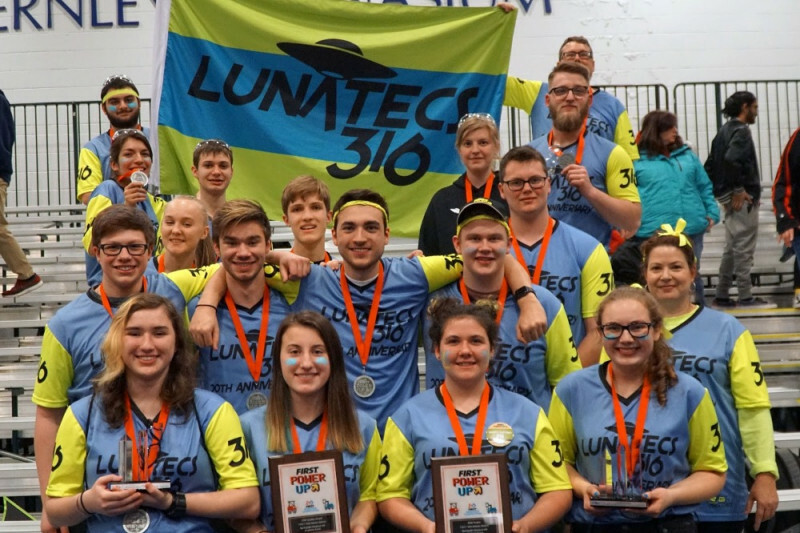 After a tough, well-played season, Our team FIRST® Robotics Competition (FRC) team 316, The LUNATECS, has qualified to participate in the FIRST World Championship in Detroit April 25– 28, but we can’t get there without your help! We need to raise $17,000 (registration, travel and operating costs) by April 24th,, and we need your help to do it. “Going to Worlds” is something every team, and student dreams about. Your tax-deductible donation to South Jersey Robotics and sharing of this campaign will help this dream come true. In 2015, The LUNATECS qualified to attend the FIRST World Championship but were unable to raise the funds needed to attend. The students were devastated when they were told that despite qualifying for the FIRST World Championship they could not attend. This year, some of those students are seniors, facing their last year in the program. They are getting a second chance, but they can’t get there without your help. The LUNATECS is a FIRST® Robotics Competition team based in Southern New Jersey. The team consists of high school students and dedicated mentors who, under strict rules, limited resources and an intense six-week time limit, raise funds, create a team brand and ultimately build and program an industrial-sized robot to play a difficult field game against like-minded competitors. - learn skills, through hands-on STEM activities. - work with professional hardware and software. - work side-by-side with positive role models working in STEM-related field. - learn public speaking, presentation and business planning skills. Our team relies on the generosity of our donors. Without your generous gifts, we would not be able to participate in any FIRST Robotics Competitions. Thanks to donors like you we are able to learn and grow through our participation in FIRST. 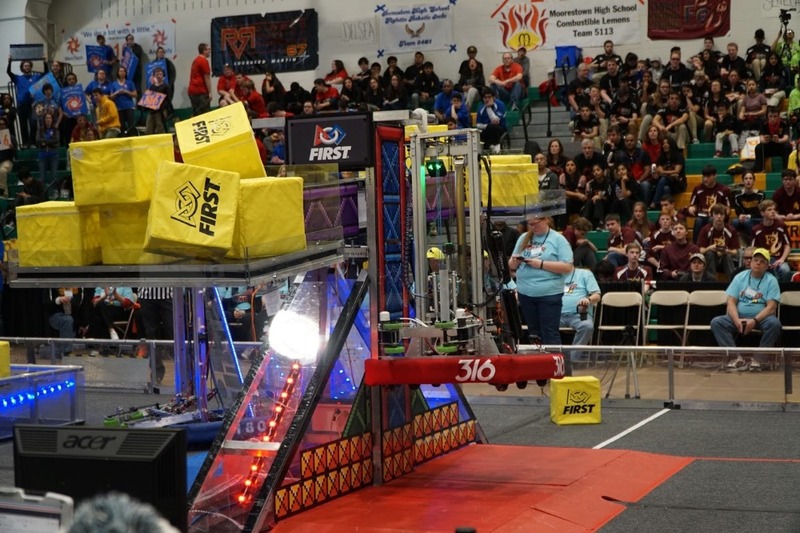 - 70% FIRST® Robotics Competition alumni report increased motivation to do well in school. - 88% of FIRST® Robotics Competition alumni go to college. - FIRST® participants are four times as likely to pursue a career in engineering. - Members of The LUNATECS have opportunities to participate in STEM-related internships. - The team’s community outreach increases awareness of and promotes the ideals of FIRST® Robotics. In addition to participation in the FIRST® Robotics Competition season, The LUNATECS team members and mentors make a difference in the lives of others by working on various projects that give back to the community. We work with local communities and those with disabilities to solve problems. Most recently during the summer of 2017, LUNATECS team members built an adaptive device for a child at the Tatnall school in Delaware . They designed, engineered and donated an adaptive device enabling him to jump rope with the other kids in his class. By supporting The LUNATECS (FRC 316) you help to support not only our students but the communities they mentor and support through outreach. You are helping to educate and encourage the next generation of engineers, scientists, technologists and entrepreneurs. Thank you for showing your support by donating and sharing this campaign. Stay connected with the LUNATECS by following us on Facebook , Instagram , Twitter and our blog on the SJR website. This team is part of South Jersey Robotics (SJR), Inc. a 501(c)(3) whose mission is to support STEM (Science, Technology, Engineering and Math) education in the tri-county area (Cumberland, Gloucester and Salem Counties) and beyond. Over the past decade, SJR working with local communities and school districts has expanded and now supports 15 FIRST® Robotics teams in the tri-county area, serving communities and school districts lacking in STEM-related programs along with two summer camps serving over 100 students spanning multiple school districts. Thank you for helping us get to Detroit! Important update! We’re going to the FIRST Championship in Detroit! Please help us with one last push by donating and sharing this - even $5 helps! We’re so close, please help us get there! We're getting close to 40% of our goal, only $415 to go! Can we hit that today? Thank you all for your generous support and please keep sharing our campaign and getting the word out! We're over $5,500 and on our way towards 40% of our goal! Thank you all again for your generous donations and sharing this campaign. Preparations for the championship continue and this week we sent our robot to Detroit thanks to the generous people at FedEx who provide shipping for the FIRST Championship. We're in the final week of this campaign and still far from our goal. Please continue to share this campaign. Thank you FedEx! See you in Detroit!